In our long history, Tatiana Tafur has travelled to each corner of the world to discover the finest, most exotic materials and designs in existence. 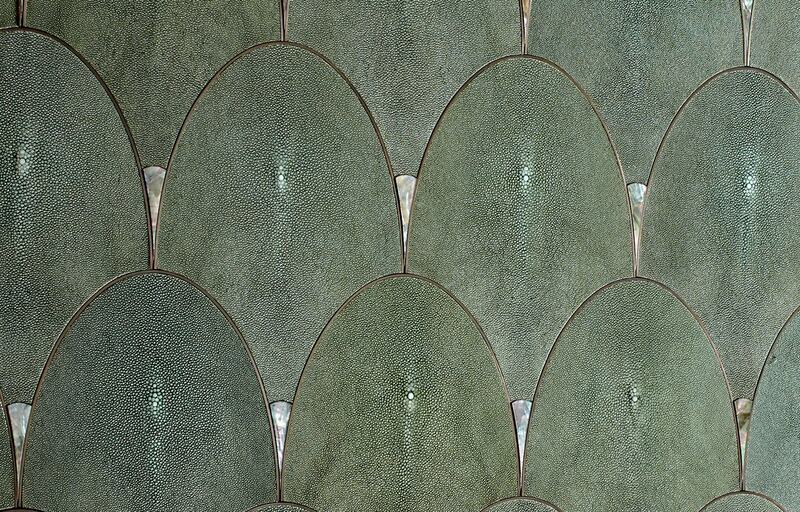 Shagreen is one of our signature discoveries – a beautiful, naturally patterned material crafted from the skin of rays. Each individual panel is taken from a ray found in the spectacular waters of the South China Sea. The skin is then treated and often hand dyed to suit a luxurious custom interior. Originally Shagreen didn’t have such luxurious connotations and prestige – in the middle ages it was used in Japan to craft the grips of swords, as the unusual texture gave samurai a firm grasp on their blade. Since the 17th century shagreen has been used in interior design, coming to particular prominence during the the Art Deco movement. After years of importing Shagreen furniture and decorative items throughout the 18th and 17th century, the use shagreen was formally established in Europe by Jean-Claude Galluchat. Galluchat was a renowned leatherworker in Louis XV’s court, popularising the use of this rare material in jewellery, furniture and many other popular decorative items. Shagreen is also used in the creation of many of our wallcoverings and surfaces. Made of sumptuous bronze, mother of pearl and shagreen skins. 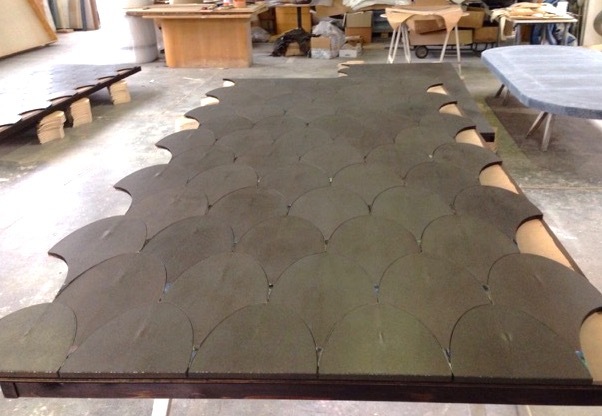 Our wall panels are created by joining individual pieces of oval Shagreen scales together. These scales are then trimmed in bronze and finished with elegant mother of pearl inlays. Each panel is meticulously crafted by hand by Italian artisans – creating a stunning, spectacular finish for sophisticated interiors.